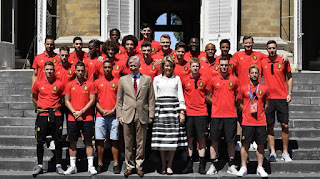 Queen Mathilde: Congratulations, Red Devils! 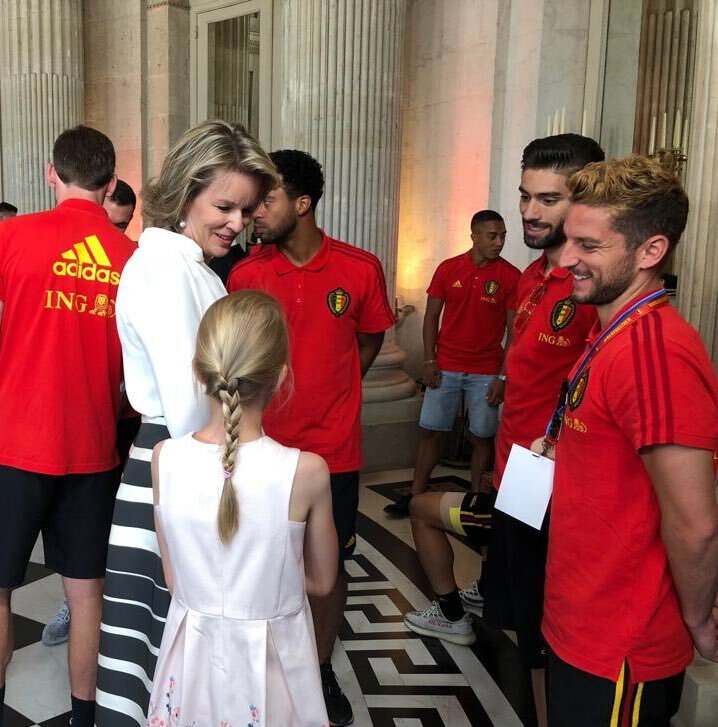 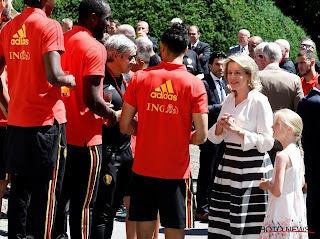 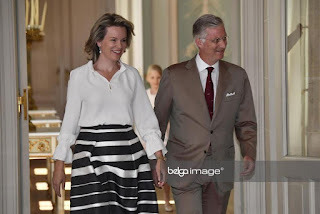 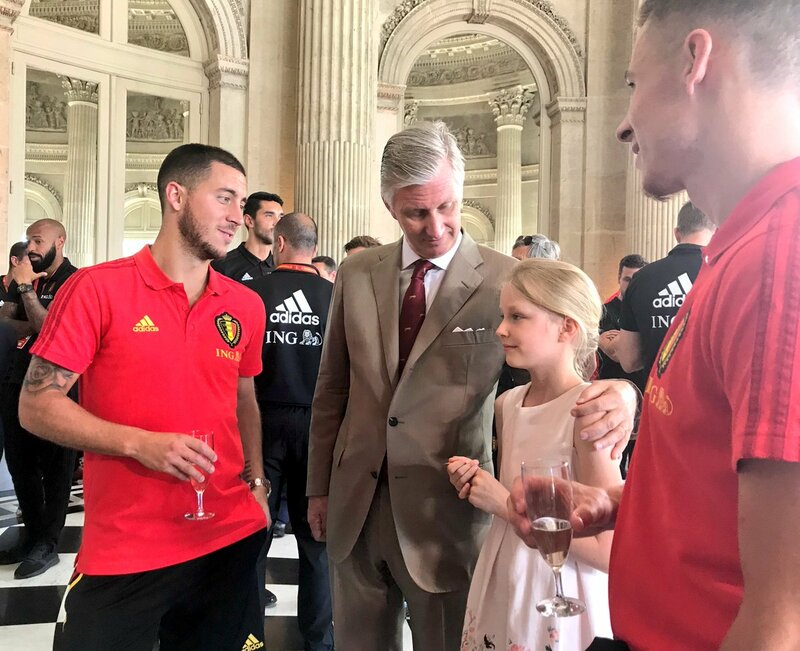 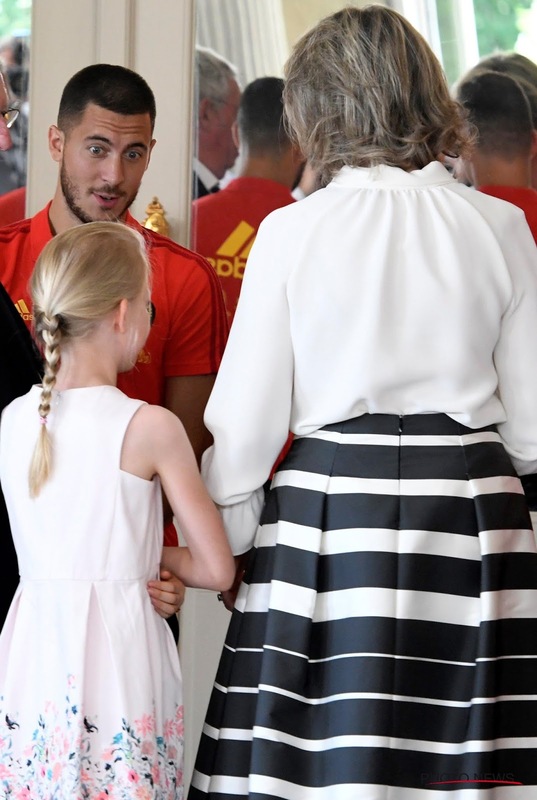 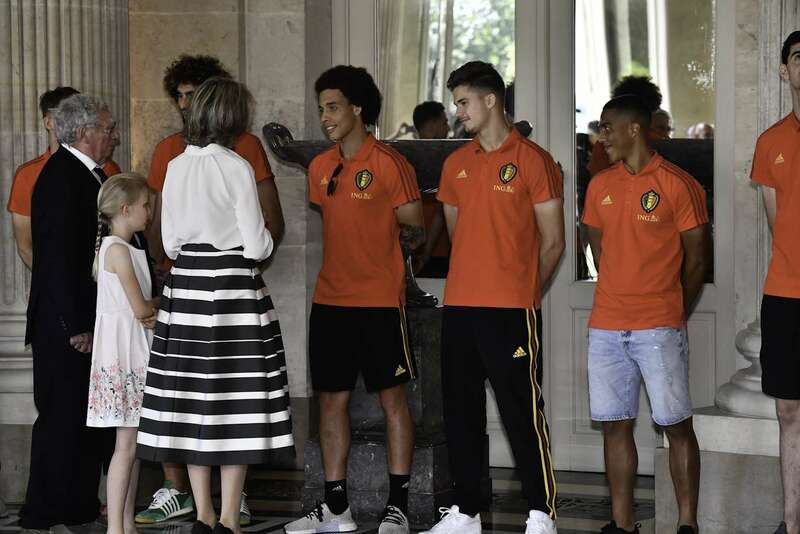 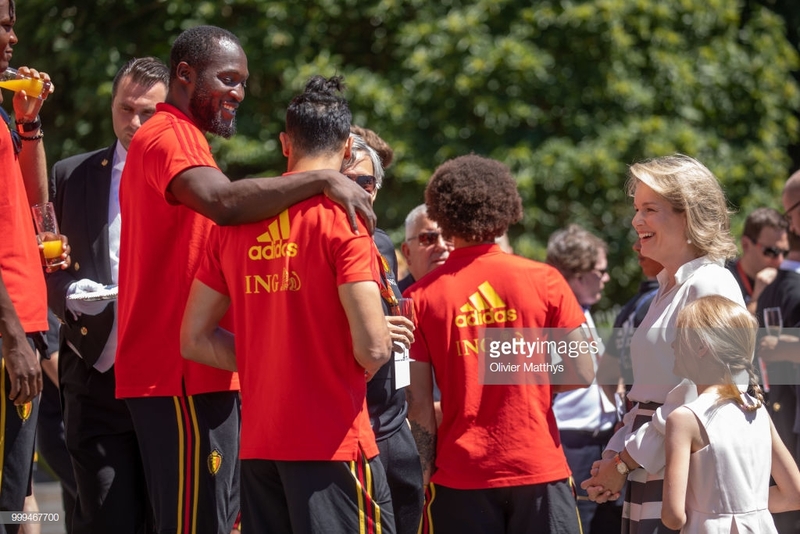 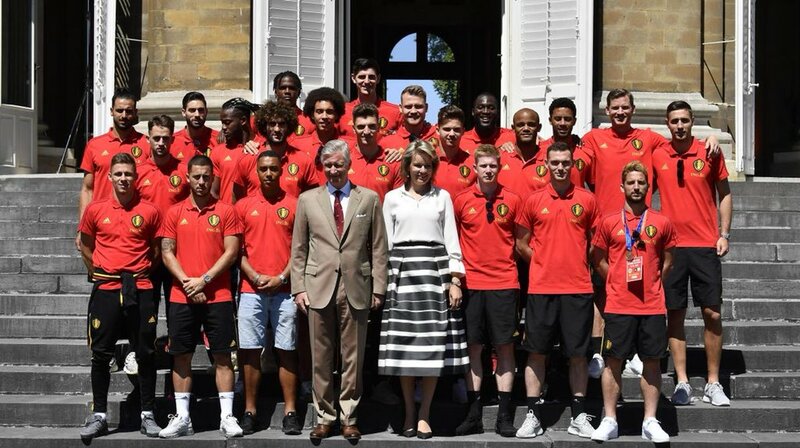 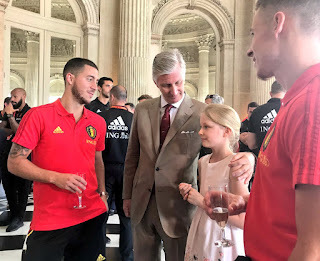 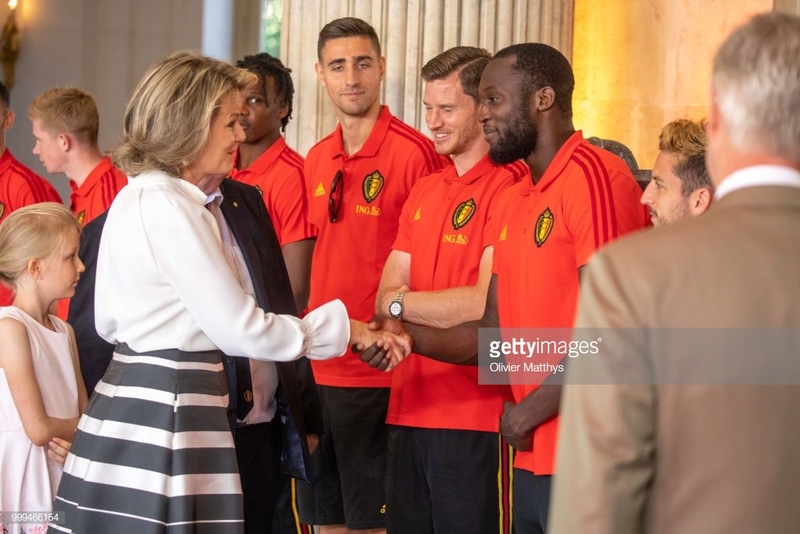 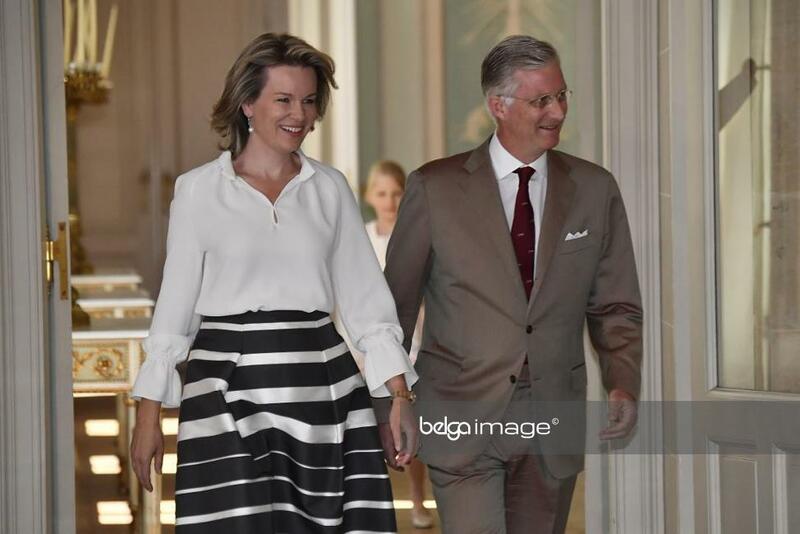 King Philippe and queen Mathilde received the Red Devils, coach Roberto Martinez and their team at the royal palace in Brussels. 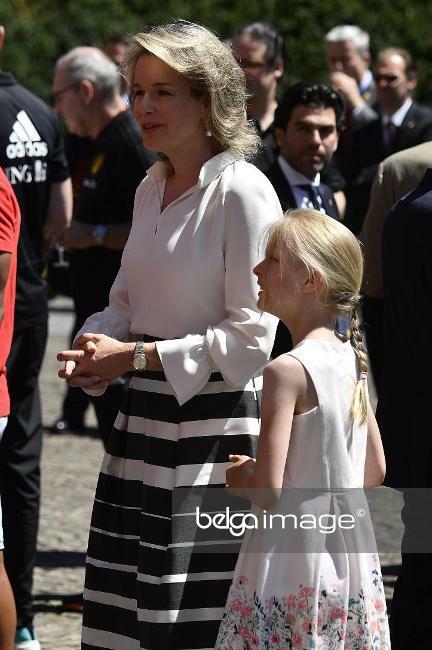 Youngest daughter, princess Eléonore (10) was with them. 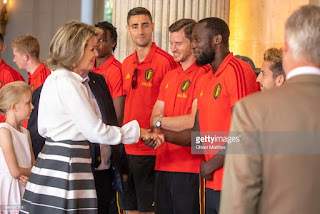 Afterwards the Belgian national football team, who ended 3rd at the World Cup in Russia were celebrated by 10.000s at the Grand Place in Brussels.